I just checked the balance on our mortgage to make sure this month’s payment went through. I’m excited about accelerating our mortgage payments and seeing the principal decrease. We’re still waiting on first-time homebuyer’s tax credit, and will be using that $8, 000 to take a chunk out of our mortgage. While looking at the breakdown of our most recent payment, I noticed that about 20% went towards our escrow account. Having never had a mortgage before, I was curious to find our more about escrow accounts and decided to check out the Housing and Urban Development website to get more information. Our lender had us pre-pay the first year’s premiums for our homeowner’s insurance policy. Going forward, our payment also includes an allocation for our future insurance premiums as well as our property taxes. This money is deposited into an escrow account. When you purchase a home with a mortgage, lenders typically add certain stipulations to protect their investment. One of the main things that they’ll do is require you to pay into an account that is used to cover the insurance premium and property taxes. That way they can be 100% sure these things get taken care of. The amount that a lender can require a homeowner to put into the escrow accounts is limited by the Real Estate Settlement Procedures Act (RESPA). More specifically, they can only maintain a cushion of 1/6 of your annual escrow payment. After making annual payments out of the escrow account, any surplus over $50 has to be returned to you within 30 days. This should give you a good feel for your maximum required escrow total. If you feel that your lender is taking too much for escrow payments, contact them to receive an explanation on the difference. Aside from providing your lender with a measure of protection, escrow accounts can be a very convenient way of taking care of, and budgeting for, your tax and insurance obligations. Having a large property tax bill show up unannounced can ruin your budget, and having an escrow account relieves you of this possibility. It’s also worth noting that, even if there is an error with a payment from your escrow account, you have some protection. If your county sends a letter to you because your property tax was paid late, for example, you should forward a copy of that to your lender because they’re responsible for the penalty. While having your property tax and home insurance premiums handled automatically can be convenient, there can be a downside. For the financially savvy, escrow accounts can have a big opportunity cost, as could be stashing away that money yourself in a high interest savings account. In theory, you could tuck away 1/12th of your insurance and tax bills every month and then pay them yourself. After all, most of use handle our life insurance and car insurance premiums on our own. Why should homeowner’s insurance be any different? In this day and age of online bill pay, escrow accounts can seem redundant from the consumer’s perspective. Not only are you losing money in the form of unearned interest, but you’re also ceding control. In the final analysis, I think that an escrow account is a handy tool — and if you have a mortgage, you probably don’t have a choice in the matter. What do you think? Either way, we can’t wait to pay off our mortgage, and we’re focusing on that goal. Wow, thank you all for the feed back, this help clear my mind up as to what escrow is.. ;0) Simply paying some bills .. the part now is what school should I go to for a degree ;0). I want to learn how to do escows so I can go back to work ;0) where can I take courses on this ? I suppose escrow accounts are handy for some borrowers who aren’t so savvy with their finances. But I hate that I’m forced to go the escrow route. I consider my husband and I quite savvy with our finances. We’re perfectly capable of budgeting for our tax and insurance bill, which shouldn’t come unexpectedly – it comes around the same time every year and for not a big difference than the previous year, usually. So we’re not worried about it “busting” our budget. Our house is scheduled (according to our prepayment schedule) to be paid off by August of this year. I cannot wait to be out from under the mortgage, but a close second is I can’t wait to be out from under the escrow requirement. I’d rather be earning interest on that money throughout the year. Same with income tax withholding, but don’t get me started on that! Just say no to Escrow! I had to pay $250 for the ‘privilege’ of declining escrow service…what a ripoff. As others have said, as long as you can determine your yearly property tax and home-owners insurance amounts, divide by 12, and put that much into a savings account every month: you will be much better off. You will be in control of _when_ the taxes are paid. If you will need an extra kick in income-tax deductions next year, then delay paying this years property taxes until Jan next year, and then pay next years prop-taxes in Dec of next year. The result is that you get to deduct two years of property taxes in a single year from your income! This is important for people who are unable to meet the standard deduction when itemizing income-taxes. Another benefit of avoiding escrow: you will be more aware of your appraisal board’s valuation of your house, which you should appeal if it is inaccurate. Your homes appraised value is the factor that determines how much your property tax is. @daddypaul- I believe the banks are legally obligated to return your escrow within 21 days of your refinancing their loan. Another problem I see way too often… when someone takes a mortgage, if the bank who provided the mortgage is not servicing it, they will sell it to another bank and it might be sold a few times. Each time the mortgage is transferred to another bank, the escrow account is at risk of getting messed up by not being transferred properly along with the mortgage. Then the new bank goes after the borrower for the shortage. If you escrow taxes and your mortgage changes from one bank to another, make sure to confirm that the Escrow account was properly transferred along with it (compare the final statement from the old bank to the first statement from the new bank), otherwise you will face an unneccesary headache trying to rectify it. 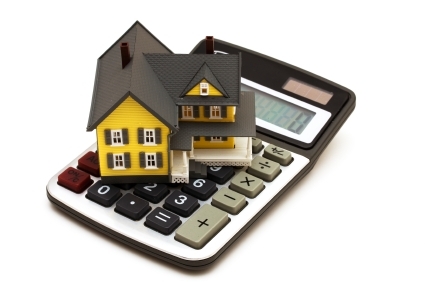 Another good idea… check your escrow balance on your mortgage statement periodically to make sure it’s right. It’s your money the’re holding and they don’t always seem to be all that responsible with it. I have to agree with Kev. Escrow accounts are good,. Good for the bank not you. If they forget to pay the taxes you pay the penalty not them. I had enough in my account after paying my taxes to pay for my taxes and insurance for almost 2 years. Then the bank raises my escrow payment. I called the bank and they told me the law allowed them to raise it up to 20 dollars a month more than they did. I refinanced. It took almost 3 months to get my money back after the refi. I refuse to have escrow because I am able to save the amount myself and I have heard too many horror stories about bank screw ups when it came to property taxes. Also the home we own is a duplex so if we have a temporary cash flow problem (the renters move out), we don’t have to dip into our EF right away for property taxes or insurance. Our property taxes go up every year, so the “padding” in the escrow account goes to the city & county and then our escrow payment goes up. I like the escrow system, though – it rolls several bills (insurance, taxes, mortgage) into one, which is easier for us to remember, and it spreads the yearly tax bill across the whole year. I think it does a political disservice, though, of making property taxes invisible to most people – our cities have put up with the state “cutting” taxes and dumping costs onto the cities and counties for years now and people seem to still believe the governor when he claims he’s cutting taxes. If you do escrow… When you get a mortgage to buy a home or refinance, the escrow account will have to be established with enough funds to cover your next tax payment (after factoring in the monthly contributions from your monthly payment). For example, in my County Taxes are paid in two installments (May and January). If your taxes are $6,000 per year and you close on your Mortgage in April, your first mortgage payment will not be due until June 1, so you will need to establish the escrow account with $4,000 ($3,000 due in May and $1,000 for the ‘pad”). If you close in June, you would only need the $1,000 pad because the escrow portion of your mortgage payments between August and January will provide the $3,000 due in January. If you do not escrow… Should you fall into a situation where you do not pay your taxes, the bank has the right to protect their interest in your property by paying your tax arrears in full and then collecting that amount from you over a designated time period. If you are $6,000 behind in taxes and the bank pays it off, they could add $500 per month to your mortgage payment for the next twelve months ( some lenders are flexible with the time period, but they all want their money back as soon as possible). So, there are pros and cons to each method of paying your taxes and home owners Insurance. Two major considerations are how much you like the convenience of the lender handling it for you, and how disciplined are you to handle it yourself. I totally agree with the “opportunity cost” factor, but if you do not have the discipline to know how much you need to start an escrow savings account, religiously contribute the proper portion to that account and NEVER touch the money in that account for any other purpose, the lender escrow account makes more sense. To escrow or not to escrow – that is the question! And the answer is not the same for everyone. We had the choice when we bought in 1999 – and, b/c I didn’t know any better, I let the bank escrow property taxes & insurance for us “b/c it was convenient.” I didn’t realize that by letting the bank pay the bills for you, you’d be losing out on interest earnings throughout the year! By the time we refinanced, I had wised up and said NO to the escrow account. Calculating/estimating what you need is very easy (you provide the formula above!) 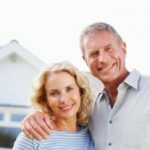 – a person who chooses not to escrow just has to be disciplined enough to put away the money themselves each month (and we were – even in our early 20s). While the hubby and I prefer not to escrow, I have advised others (whom I KNOW are bad at saving) to escrow. There are some people who just don’t have the necessary discipline to do it themselves, which, I imagine is why banks sometimes REQUIRE some to escrow. Also – another warning for those who are letting the bank escrow for them. Be very careful with any extra payments you send in. MAKE SURE to tell the bank that the extra payments should be applied to principal – even write a separate check for the extra principal payments you make! When we closed on our first mortgage, our bank assured us that any extra payments would be automatically applied to principal – they said “no need to write an extra check.” Well guess what?!? They sold our mortgage to another bank a month later. And at the end of the first year, we got a huge check back from the bank for the extra money in escrow. When I reviewed all our stuff, I discovered that all our extra payments had been deposited to the escrow account, and not applied towards principal (even though we wrote “extra towards principal” in the memo line on EVERY check we sent in.) The bank acknowledged they made a mistake, but refused to backdate any of the payments we sent in. It cost us a lot (as you may know, extra payments made at the beginning of the mortgage generate much bigger savings over the life of the loan). Anyhow, we refinanced shortly after and chose NOT to let the new bank escrow (and we had the new bank add a stipulation that our mortgage was NOT allowed to be sold back to the mortgage company/bank that screwed us over). Don’t do like I did – monitor your mortgage, especially at the beginning, to make sure the bank is handling it properly. Banks are interested in everything getting taken away from because while they are USUALLY first taker of a property in cases of debt/foreclosure…they lose that status when a property tax bill isn’t paid! That is why they care. Notwithstanding, I am a huge fan of my escrow account. Someone mentioned padding the escrow account, but I keep the interest (and pay taxes on the interest) in my escrow account so what difference does it make. You’re usually only required to have an escrow account if your equity is less than 20percent. Otherwise it’s negotiable when setting up your mortgage. We had an escrow account on our first mortgage, but were happily able to get rid of it when we refinanced in 2003. The biggest downside I saw to the escrow account was the bank seemed unable to follow property tax hikes and therefore every time they paid our taxes, the escrow account was short and we’d suddenly have our monthly payment hiked with very little notice. We do budget quite well so putting money aside each month, with a generous pad, hasn’t been a problem for us. My neighbor, otoh, seems to find it a shocking surprise each autumn when we get our tax notices and struggles to scramble to find the money. So I guess you need to know your financial personality to decide whether it’s better to let the bank do an escrow account or whether you’re best off doing it youself. Escrow accounts are great – if you’re a bank. A lot of escrow accounts require a minimum “padding” amount that is over and beyond the property tax / hazard insurance obligations. I don’t recall off hand what the exact amount is for my personal escrow account, but I do know that it is a few hundred dollars. The bank gets to hold on to the padding money plus the money slated for property taxes and insurance and they get to keep any interest it earns. It’s borderline robbery. Escrow accounts make your mortgage worth more to other banks – it serves you no purpose other than paying a couple of bills. I would rather pay my own bills and keep the money myself. Escrow accounts can be handy, especially if one is bad at putting money aside each month. It definately takes some discipline. On the downside…your monthly escrow payment can fluctuate (sometimes significantly) from year to year. This is typically due to timing and the calculation. It is not rocket science, but when a bank has hundreds (or thousands) of loans with escrow…they cannot drill down on each one to be 100% accurate. If the calculation is done on a particular day, say the 3rd of the month, and you don’t make your payment until the 8th (still in your 10-day grace period)…you could have your new escrow calc done with one payment not counted…skewing your next year’s escrow!